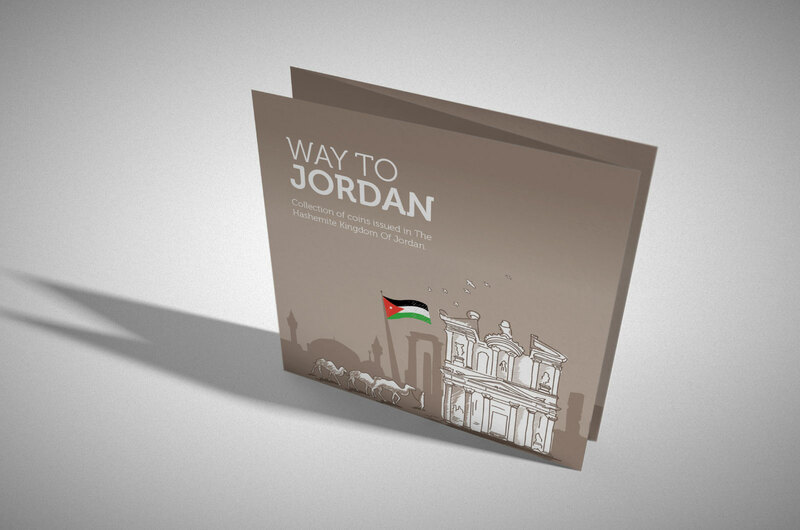 Jordan is one of the majestic places on earth, we are proud to live in, we joined the client vision of creating a brochure by the title Way To Jordan. The ways to the welcoming culture, smiling people and wondrous ruins and sites that cover jordan from the north to the west. You would see a desert, modernity and green meadows all in one ride. We could say that jordan is a place to embrace life, love and passion. 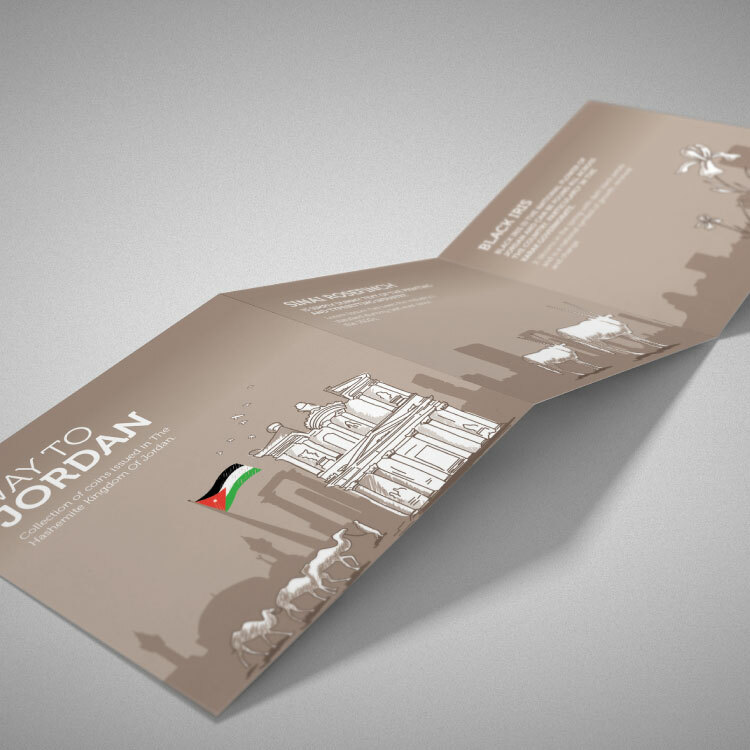 We teamed up with a client to understand what are the needs and requirement for this souvenir brochure. We wanted to know the print materials, the content and the structure, so we can adopt that in our design. 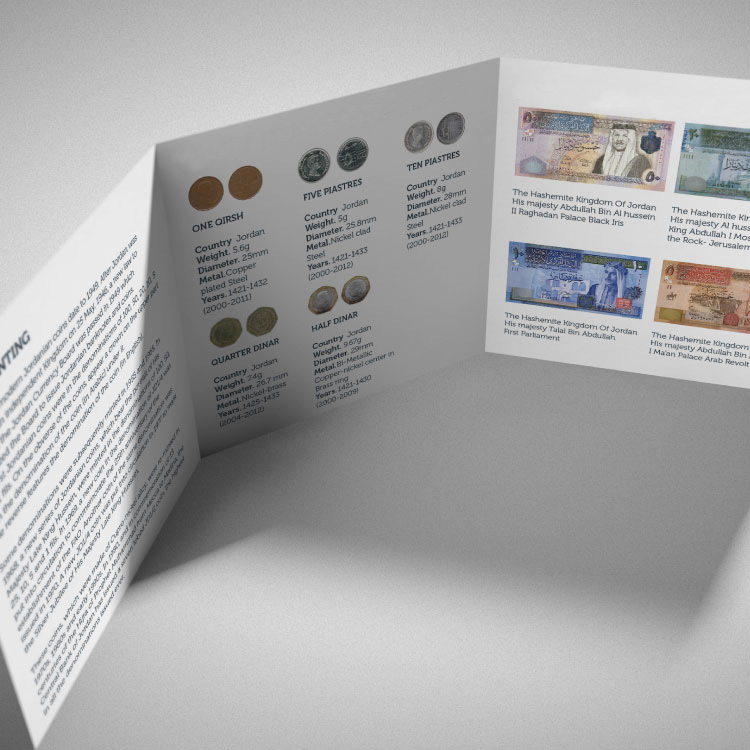 We wanted to import currency in our arts, to introduce a more economical aspect for the tourists. Plus, we created the content to give a unique prospect, illustrating the symbols of jordan like the black iris and the Arabian Oryx. The Collection of Coins Way to Jordan took culture to a whole new level, creating a tourist brochure that says The Hashemite Kingdom of Jordan, combining the majestic desert with the wilderness of its creatures. Add to that the Jordanian Currency presented in a creative and very delightful way. A guide to visitors and a memory that tells its own story.